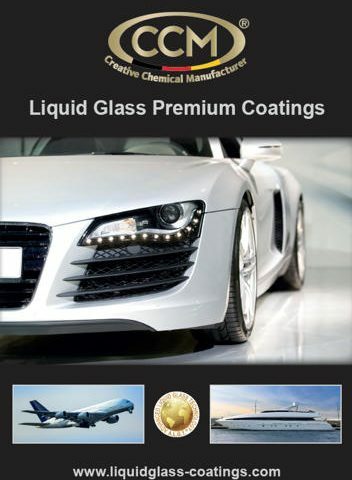 CCM offer a world class portfolio of coatings for all internal and external surfaces of cars, aircraft and boats. The coatings range from simple „wipe and go“ type coatings, to our ultra-durable, military grade coatings which are designed for professional application. The new leaflet about this range is now online.